Update on Gaddafi family & ICC List. Where are they now? 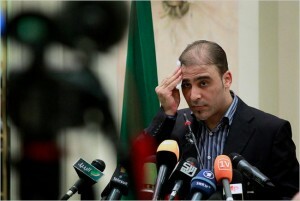 In March 2011 the ICC (International Criminal Court) issued a travel ban and asset freeze on members of the Gaddafi family and other top officials in his Inner Circle. Safiya Gaddafi, Gaddafi’s wife and mother of his 6 sons and daughter Aisha, was added later. 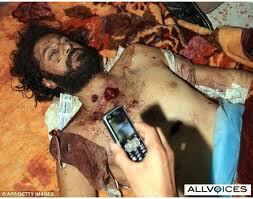 Saif al-Arab Gaddafi – killed in a NATO airstrike on Tripoli.Â No DNA results confirm. 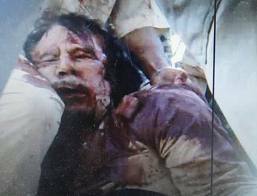 Khamis Gaddafi -Â reported dead more than once. burned in his vehicle outside of Bani Walid.Â Have DNA results ever been released? 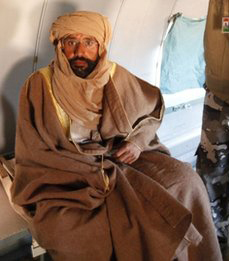 Saif al-Islam Gaddafi – being held in Zintan. Visited by the Human Rights Watch a month ago. The ICC wants him handed over, but has granted an extension on the Jan 25 deadline. There are credible sources that say he is not being held by the NTC. Aisha Â Gaddafi – last known to be staying at luxury hotel in Algers. Causing a stir with her legal complaints first about the death of her father and now Â the continued detention of her brother Saif al-Islam and lack of access to an attorney. Safiya Gaddafi – last known to be staying at luxury hotel in Algers. Hannibal Gaddafi – last known to be staying at luxury hotel in Algers. Mohammed Gaddafi -Â last known to be staying at luxury hotel in Algers. Saadi Gaddafi – last known to be inÂ Niamey. Niger government has granted him asylum. 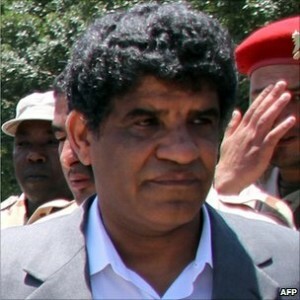 Abdullah Â Al-Senussi – Rumors have him in Mali or Venezuela. Al-Baghdadi Mahmoudi – Â In custody in Tunisia. May be released. Tunisian government has refused extradition due to risk of torture and death penalty. No information on following men. WHERE ARE THEY??? And what about Musa Ibrahim, the Baghdad Bob Press Secretary, famous for interviews and pressers at the Rixos Hotel? Some say to look for him in Germany or skiing in the Alps. Tags: Aisha, Al-Dam, Al-Senussi, Dibri, Dorba, Gaddafi, Hannibal, ICC list, Jabir, Khamis, Mahboudi al-Bahdadi, Matuq, Mohammed, Musa Ibrahim, Mutassim, Saadi, Safiya, Where they now?